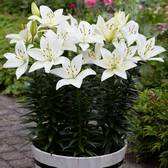 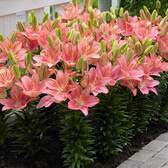 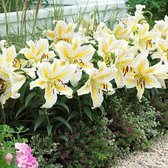 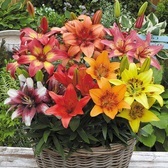 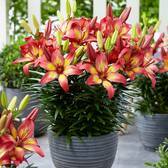 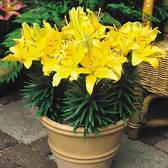 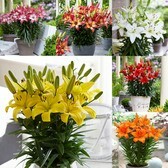 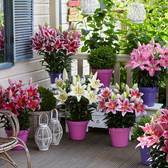 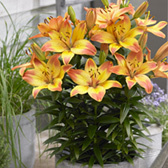 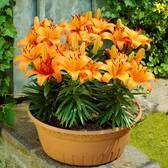 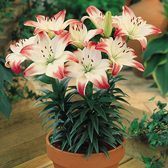 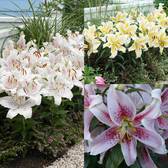 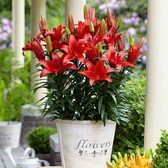 Sturdy short stemmed Lilies are the perfect gardeners choice for pots, tubs or even rockeries. 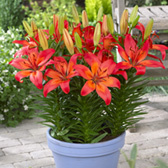 Plant dwarf/pot Lily bulbs in well drained soil and they can be left undisturbed to flower year after year. 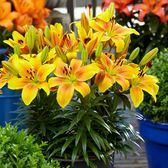 They are smaller than traditional Lily varieties but are no less effective when planted in groups. 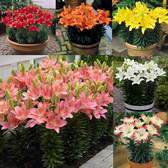 Bulbs are supplied as top size of 14-16cm.